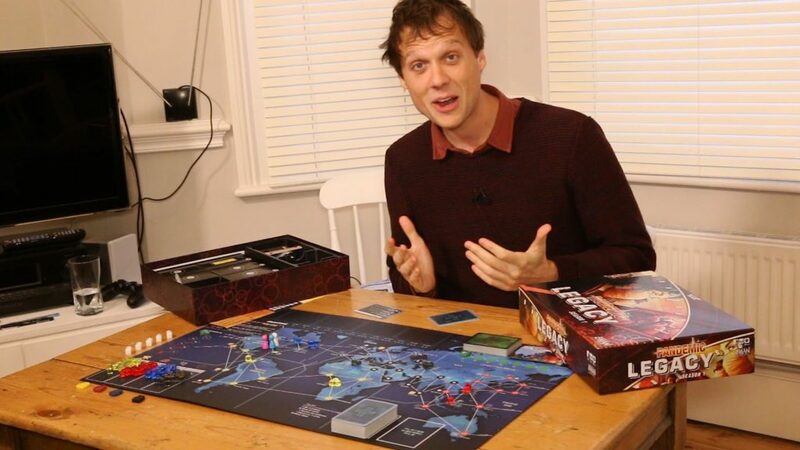 Quinns: Prior to this week all we knew was that “Season 2” would be a new standalone game that would once again turn the excellent co-operative puzzle Pandemic into a surprising campaign. Now we know… that it’s going to be a little more ambitious. Those of you who would like to know as little as possible before buying this game can settle for the above photo of the box. It looks a lot like Season 2 envisions a day-after-tomorrow planet Earth where humanity is facing extinction. Those of you who’d like to peek at a little more can see a mock-up of the board right here. Please be careful not to spoil anything in our comments! I know what you’re thinking, and yes, it looks like the map is going to be you-know-what. I hope this means that Z-Man has taken Season 1’s commercial success as an opportunity to put together a more ambitious, costly project. Paul: I am really interested to see exactly where this goes. Not just in terms of what sort of new physical things will be in the box, but also if there’ll be any new ideas for legacy elements, any new ways to play, or any particularly cruel or unusual surprises. Yep, I keep saying “new” and that’s because I very much hope that everything here is fresh and doesn’t simply repeat its predecessor’s ideas. Quinns: Yes, it’s questionable as to whether this site will actually review Season 2, since it’s more useful to everybody if we use our reviews to put forward new opinions on new designs. But I guess we’ll see! Paul: Not Alone generated quite a lot of gossip at last week’s enormous, throbbing Spiel convention in Essen, Germany. 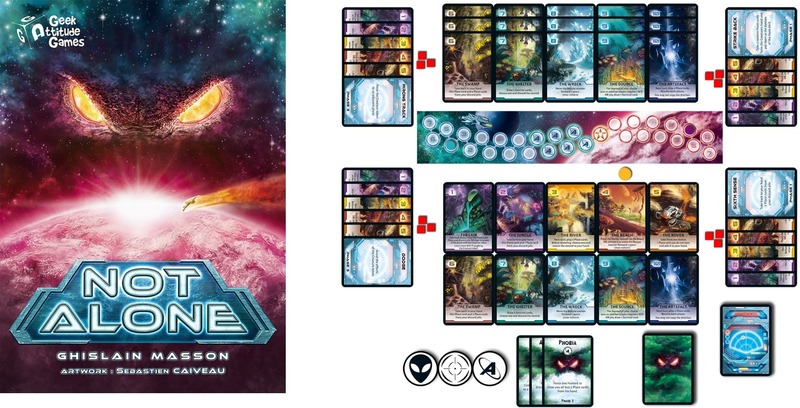 Between one and six players have crash landed on an alien world and must work together to survive until help arrives, exploring different locations and claiming cards for their decks. Another player controls the excellently-named “The Creature”, who must wear down these poor players and assimilate them into the planet forever, catching them at different locations and wearing away their “will” tokens. Sort of like a dinnerlady in a playground ruining your fun. Quinns: This a game from a new designer and new publisher, something that immediately sets me trembling like a rocket leaving the atmosphere – making a great board game is a very difficult, technical process after all – but on the other hand it’s a great concept with stunning art. What excites me the most is that it has a similar structure to hidden movement games, where one player hides from the rest, but reverses it. In Not Alone all but one player scuttle around secretly, while that final player runs around and gobbling them all up. Fun! Polish publisher Portal Games announced a selection of fun stuff this week. 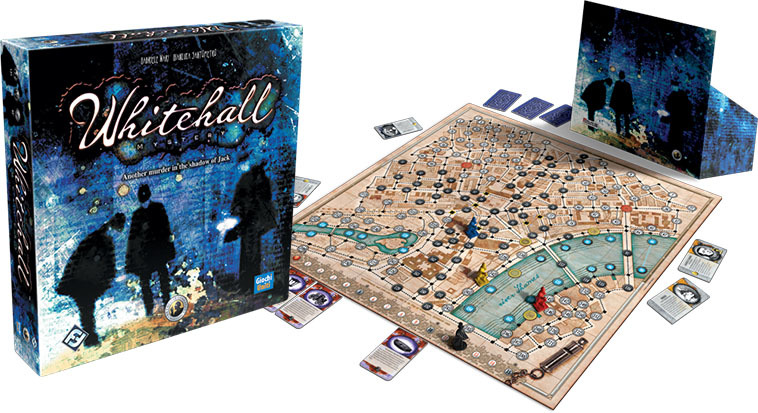 A revised 2nd edition of the Undead expansion for the 2nd edition of Stronghold makes that box look very appealing. They also revealed an expansion for the well-received area control war game Cry Havoc titled Aftermath, which is a bit intense since we haven’t managed to get our hands on the base game yet. But hey! It’s an intense game. It’s got aliens and crystals and everything. 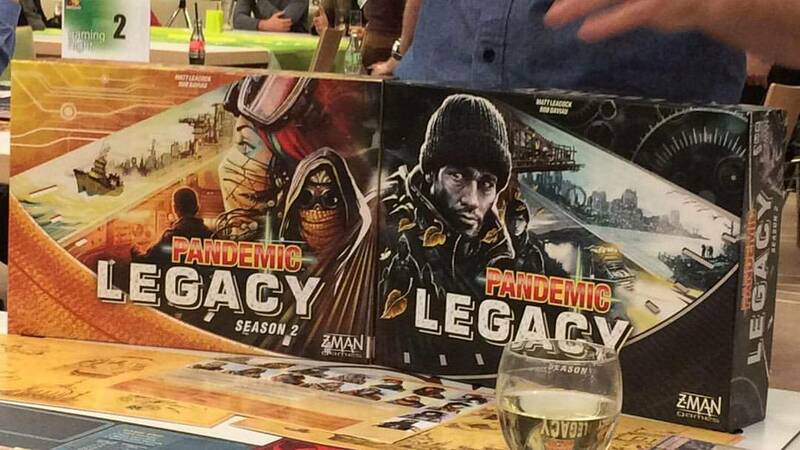 Paul: I already forsee you grabbing both Cry Havoc and then IMMEDIATELY getting this expansion. I can’t see things going any other way at all. Quinns: Most excitingly of all, Portal’s announced a beautiful new box titled Alien Artifacts. 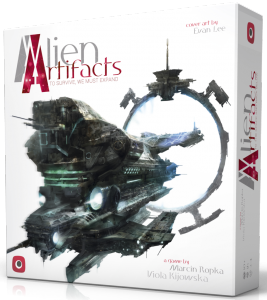 Billed as a “4X style game”, Alien Artifacts will let players expand, explore, exploit, exterminate their way around a galaxy in the style of Twilight Imperium or Eclipse, except (so we’re up to 5X now!) 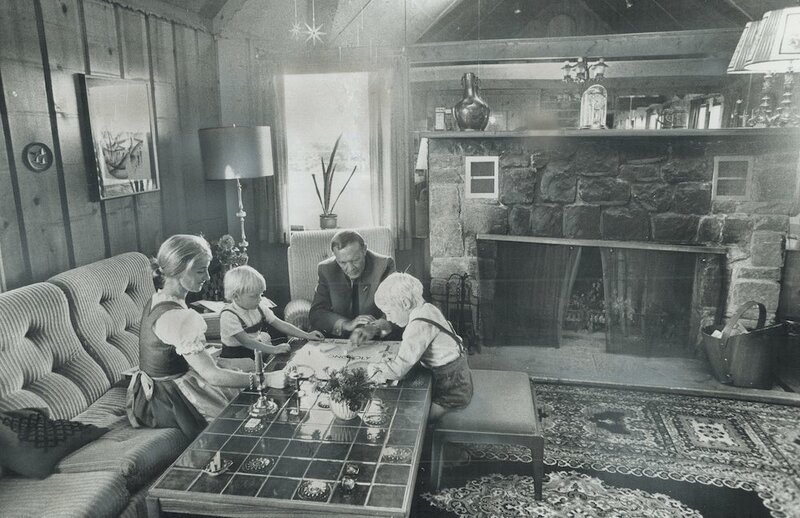 in the format of a quick-playing card game rather than a board game. Paul: Here’s a neat little detail, Alien Artifacts’ designers only appear to work as a pair and they’ve previously created a board game that takes you on a journey around Polish cuisine. So that’s charming. I really want to try that soup. And also that other thing. Though I don’t know if any of this stuff contains fish. I can’t have fish. Oh no. I feel ill. 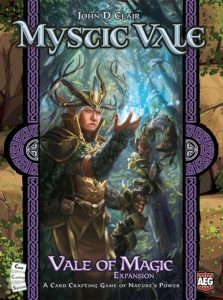 But not too ill to add that the inevitable Mystic Vale expansion is making its way through the magical woods of board game manufacturing, ready to emerge into the clearing of, um, availability! Titled “Vale of Magic”, this box is going to add all sorts of additional, magical translucent plastic to this lovely card game of druids, their decks and their grubby, green-fingered greed. Quinns: If you remember our Mystic Vale review, Matt and I said that it was a lovely game that really needed more cards to have any replayability. So the good news is, this expansion should fix that. The bad news is, if it doesn’t do it in a spectacular fashion Mystic Vale’s going to end up being a pretty poor value proposition. Paul: Bears. Oh! Can I share some animal pictures now? Quinns: No, because we’re going to segue into something more serious. Board gaming isn’t exactly big money business and so our hearts go out to LudiCreations after their cash box was stolen, possibly by professional thieves, while they were exhibiting at Essen. Smaller publishers really have to count their pennies and this must’ve been a big setback, so kudos to them for taking inspiration from what happened and turning it into a Kickstarter pitch for a new title. 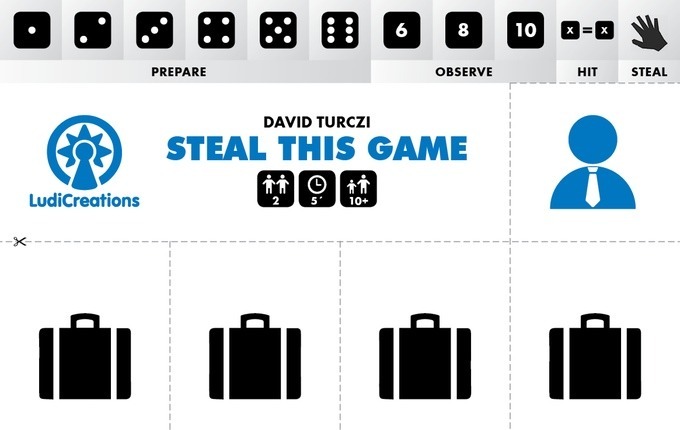 Steal This Game is a five dollar “asymmetric nanogame, playable by two players in five minutes or less” that fits on a postcard. Paul: It’s a clever idea and a remarkable way to bounce back. 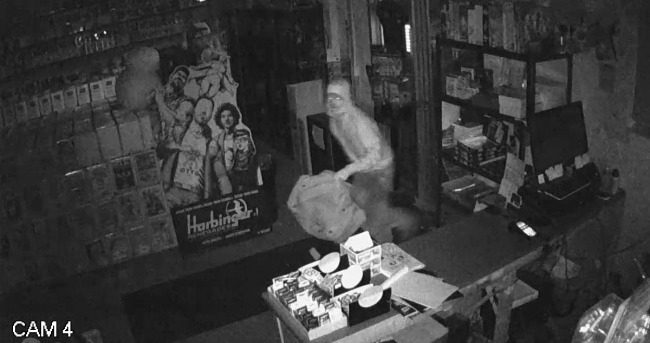 On the same topic, I’m sure this isn’t the first time this has happened, but I was very surprised to see the news that a rare and valuable Magic card was recently stolen in a night time robbery in New Brunswick, Canada. The Black Lotus, which can sell for tens of thousands of dollars, was one of a collection of rare and valuable cards that included several others from the prestigious Power Nine set. This is a huge heist and I wonder where those cards will end up, if they’ll remain in the robber’s possession or be somehow fenced off to someone else who won’t ask too many questions. Hopefully they can be found and returned, because this must be heartbreaking. Quinns: I thought thieves were supposed to leave flowers behind? You know, as a calling card? Fun fact! When Magic: The Gathering was first designed and certain rare cards were made more powerful than others, the people behind it totally failed to conceive of some players spending outrageous money acquiring those cards, They just thought it would be a cool gimmick for players who got lucky. I wonder what Richard Garfield would have said if we’d shown them this future, Christmas Carol style? Paul: Finally, I think we just have to mention Threadsteading, a game played on a hex grid with… a sewing machine! Over at RockPaperShotgun, Pip has been talking about how she first spotted this Disney Research project at San Francisco’s Games Developer Conference, where it sat in the Alt.CTRL.GDC selection amongst a host of other games demonstrating new ideas for control methods. 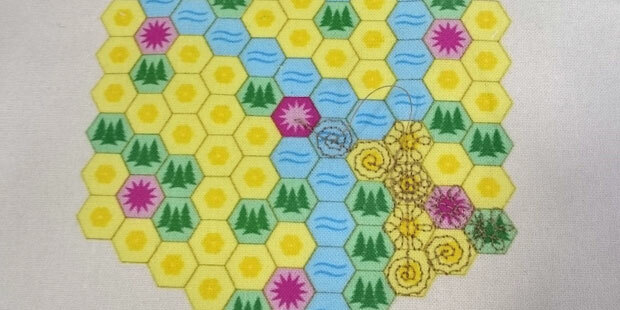 Now, I think the actual control concept here is more exciting than the game itself (which is still a fine idea) and it immediately had me thinking of the possibilities of games with cloth maps, embroidery or sewing. There’s a lot to consider there. A thread worked through cloth has a special kind of presence: it can be a new and very fixed feature, the sort of thing that won’t get knocked over or brushed aside by accident like miniatures or tokens, but it can also be tugged loose later on if you really don’t want it to be permanent. I reckon Threadsteading could inspire some more very clever ideas, even if its hardware doesn’t make it the easiest thing to share. And the winner gets to keep the map! That’s pretty neat. Paul: I liked maps first. 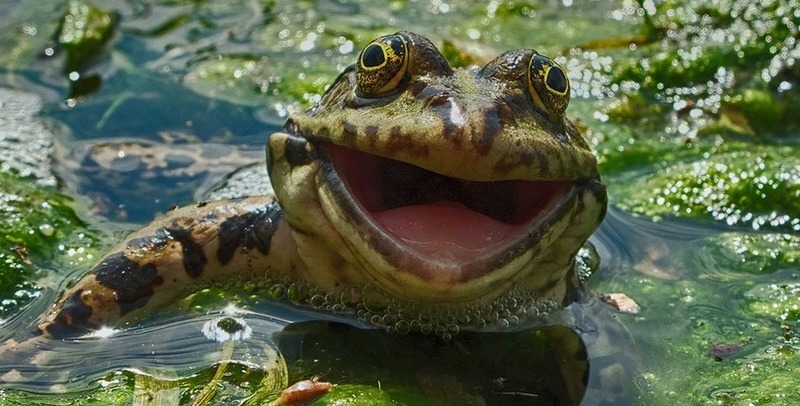 And with that, we’re off for the day, but I DO want to quickly share that I discovered the existence of the Comedy Wildlife Photo Awards this weekend. They are awards. For funny photos of animals. This is a thing that really exists in the world. Proving, in the end that fairness and justice do ultimately triumph. Look at that frog.